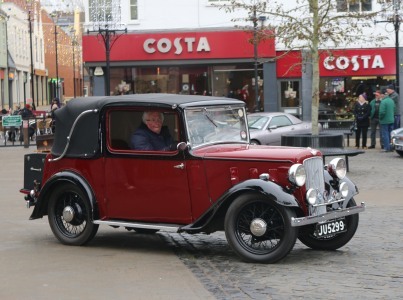 In 2014 we sadly said goodbye to a number of well known Abingdon people. 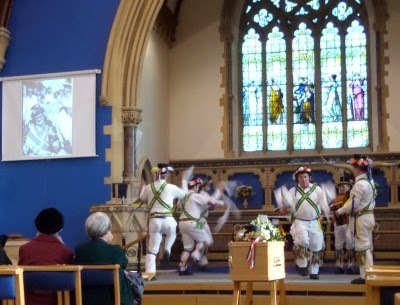 The funeral of Les Argyle, former Mayor of Ock Street, was on the blog in January, for what was a moving send off by the Morris Dancers. 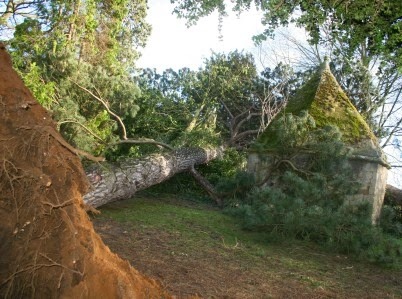 One of the more spectacular blog pictures of the year came in February, when a tree came close to demolishing the Conduit House in Albert Park. 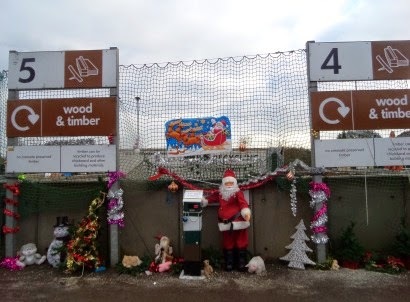 Our local recycling centre, in Drayton, has made a display of discarded Christmas decorations. I went there today to clear out some things that were beyond repair. 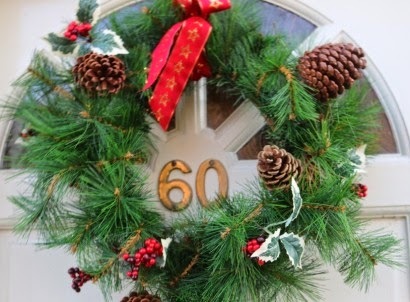 Our front door wreath was also recycled. In March we got home to find that our son had recovered a wreath from a skip up the road. 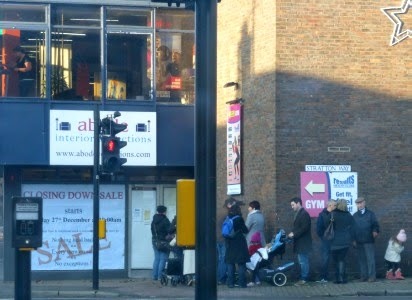 I wrote about the skip and some dangling guttering on this blog in a piece called “A Posh Skip in West St Helen Street. Press on Changes in 2014 for a bigger pdf version. Yellow means a change of name. 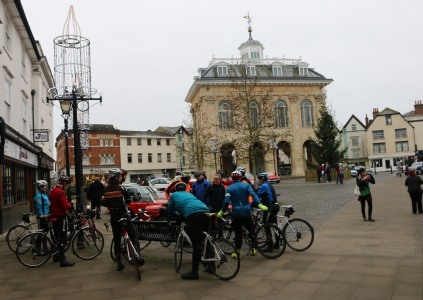 At 10am Abingdon Freewheeling gathered for a medium paced ride of around 30 miles starting at Abingdon Market Place. 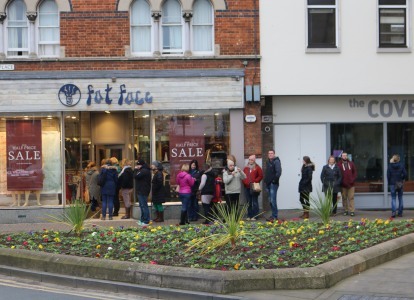 Nearby, at 10am Fat Face opened their doors for the start of the sales. 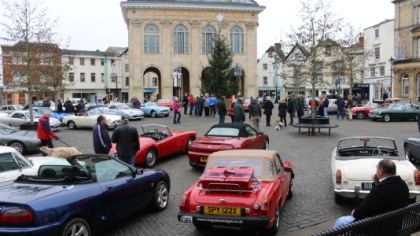 Over 40 MGs gathered to take part. 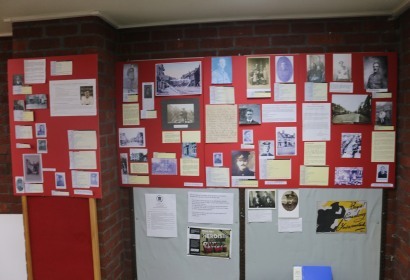 During 2014 there have been a number of events in Abingdon commemorating the centenary of the start of World War I.
Abingdon Library are still collecting information about people from Abingdon who served in WWI. The Free Press also mentioned that the members of the Royal Naval Air Service, billeted in Abingdon, had arranged a ‘capital’ concert at the YMCA Social Club Rooms in Ock Street. 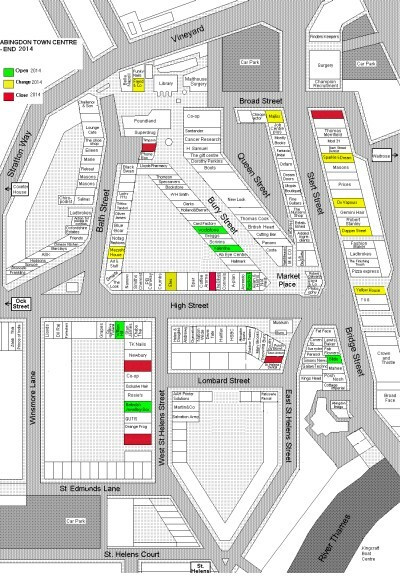 In the same paper there is another comment – some local traders were asking why fewer service men were billeted in Abingdon compared to other towns. Service men were good for trade. 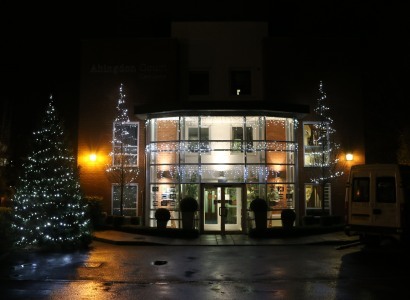 Going round the ways and byways of Abingdon I was very impressed by the Christmas lights this year. 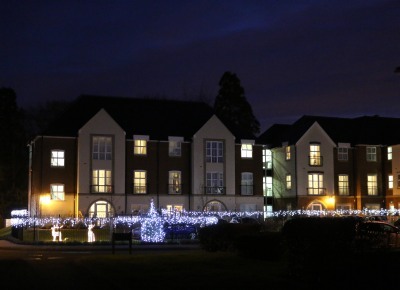 There are many people out there sharing their joy with Christmas Lights. 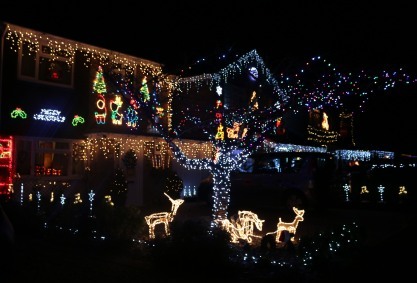 I was particularly impressed by Medlicott Drive in the Ladygrove Estate in South Abingdon. The picture cannot do them justice. 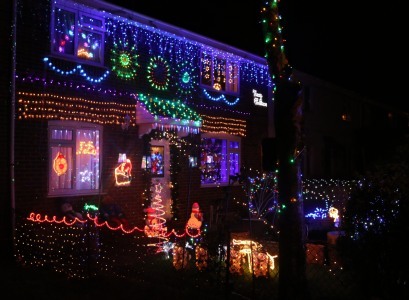 As always there are 3 or 4 brilliant displays along Saxton Road, and many other roads. and Bridge House have brilliant displays. I just could not get high enough to show the sweep of lights round Bridge House. The residents get a much better view from their upstairs windows.